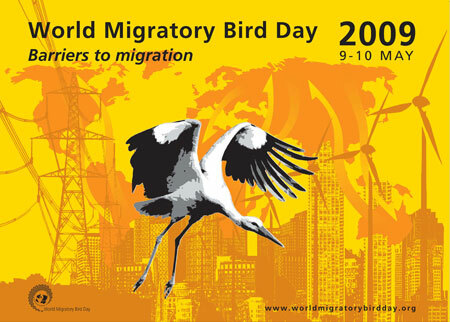 On 9-10 May 2009 World Migratory Bird Day was celebrated in over 50 countries around the world. Under the theme “Barriers to migration”, 130 registered events took place. These events helped to raise awareness on man-made barriers and demonstrated that obstacles like wind turbines, power lines and tall buildings pose a threat to migratory birds.